Anyone in a power position recognizes the possibility of abusing that power. Bosses can take advantage of vulnerable employees, parents can abuse children, and church leaders can manipulate parishioners. I start with the assumption that most church leaders do not want to harm their parishioners. I would go even farther that when spiritual abuse does happen, most leaders don’t see what they have done/not done as abusive. Rather, they act with the intent to maintain good order, prevent further sin, and the like. Study the Character and Leadership of Christ. You know that tired but true adage, you will better recognize counterfeits if you study the real deal. How does Jesus wield power? How does the true Servant Leader treat the most vulnerable? Sinners? Pray that God will show you where you or your leadership team look more like the world than of your head, Jesus. As a part of this study, invite someone who has experienced spiritual abuse to tell you about their experience. What was the damage done, the impact? Identify Risk Factors. Life has risk. We try to minimize unnecessary risk and make wise choices when risk cannot be mitigated. While usually it is better to reduce risk, sometimes risk is essential to save life. There are a few risks that need to be acknowledged that increase potential for spiritual abuse: Having all male staff/elders/deacons may increase risk for women who have little voice in church policy, hierarchical leadership with little oversight by others increases risk of abuse. So, it is helpful to churches to review church discipline policies, pastoral care procedures especially in regards to the most vulnerable members of the church. 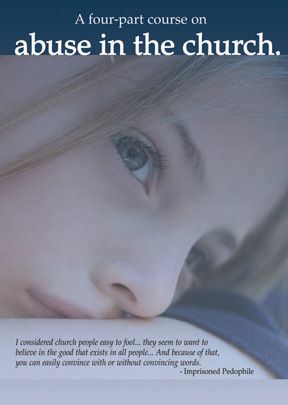 There is a reason why churches have child abuse policies–to recognize vulnerabilities and to ensure protection. A similar review would help reduce the likelihood of incidence of spiritual abuse. Develop Continuous Assessment and Learning. In medical and mental health fields, professionals are required to complete continuing education. In addition, many practitioners participate in agency-wide case consultations. The consultation is designed for mutual learning and input. A counselor presents a case and takes questions and recommendations from peers. What if church leaders held these kinds of “grand rounds” where those tasked to work with an individual or family presented the basic facts, the agreed upon goals and “interventions” tried. The audience of other elders and/or pastors could ask questions and offer alternate hypotheses or responses. If you have ever worked on a problem, you know that getting another set of eyes on the problem can sometime stir a new perspective. Encourage at least one group member to ask questions about the parishioner’s experience of help. Of course, confidentiality is a must and so be sure that the leadership can keep matter private. Review Difficult Pastoral Cases. Seek External Feedback. No matter how wise and spiritual your church leaders are, they do not have all the expertise they need to handle any and every case. In the case of difficult and protracted marriage conflict, be willing to seek expert opinion outside of the church. Seek outside consultation when there has been abuse in a relationship and there are power differentials. God has given some people expertise in understanding major mental illness, trauma, and relational dynamics. Invite these individuals into session meetings to help guide the response the church makes. This can be done in ways that maintains complete confidentiality. These are simple and general measures you can take to reduce the likelihood of abusing spiritual power that leaders have over congregants. While you may think such abuse is extremely rare, our call to be like our head Jesus demands that we hoist no millstones around the necks of vulnerable members. Barbara, I don’t disagree with you. Complexities abound and yet when the Spirit is present and a person’s blinders come off, we often see an immediate turning around and fruits of repentance. Of course, sometimes it is a bit slower as we unlearn habits. Yet, there are those who pretend to repent and that is the tricky part as you can’t know in advance.